Telford & Wrekin Council has successfully secured a grant of £75,000 to support local businesses within the tourism & hospitality sector to attract more visitors & economic growth for the borough. The Council’s Destination Programme team has secured the grant from the Department for the Environment, Food and Rural Affairs (DEFRA) and Rural Payments Agency for destination marketing and business support. Rural companies which are part of the free to join Visitor Economy Forum can access the funded programme for free. The forum currently supports over 200 tourism and hospitality companies of all sizes in Telford and Shropshire. However, a further 400 similar companies are yet to take advantage of the forum membership and its business support programme. The Destination team is looking to help these companies attract more customers by becoming forum members. The aim of the programme is to boost Telford and Wrekin’s visitor economy and create future jobs. Businesses who take part in the DEFRA funded programme will be able to access three years of business support through “The Knowledge Series” workshops - hosted at the Marches Growth Hub Telford and Wrekin. The money will also be used to fund seasonal leisure campaigns with a focus on outdoor activity, food and drink and events while celebrating the borough’s assets and historic market towns. It will also fund the promotion of the borough’s rural events programme through more targeted packaging to attract those most likely to visit the area and spend their tourist pound. The programme currently helps to attract more than 4.1m visitors per year. Rural businesses can access the support free of charge by calling the Destination Programme team on 01952 385523 or emailing vef@telford.gov.uk and checking their eligibility against a post code checker. Councillor Shaun Davies, Telford & Wrekin Council leader and cabinet member for Tourism, said: “This is an opportunity to further develop the borough’s Rural Tourism offer and I am delighted that we have received funding from DEFRA. “This is a real opportunity to capitalise on the assets we have, promoting Telford and Wrekin as a place to live, work, visit and invest. “With the investment that has been made across the borough, we are competing with other locations across the Midlands to increase spend and support local businesses to prosper. 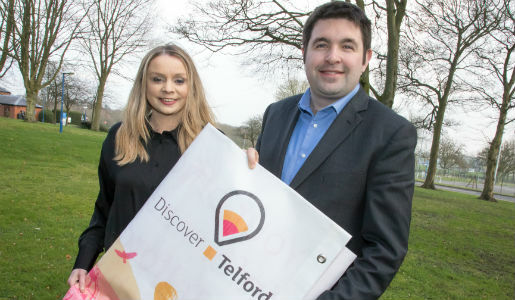 The funding will help to sustain the council’s Destination programme and the Discover Telford brand, which aims to provide a one stop shop for lifestyle and visitor information at www.discovertelford.co.uk.